ONLY 31,916 Miles! BLACK exterior and BLACK CLOTH interior, 1.4T S trim. iPod/MP3 Input, CD Player, ROADSIDE ASSISTANCE KIT, Turbo Charged. CLICK ME!KEY FEATURES INCLUDETurbocharged, iPod/MP3 Input, CD Player. MP3 Player, Keyless Entry, Steering Wheel Controls, Child Safety Locks, Heated Mirrors.OPTION PACKAGESROADSIDE ASSISTANCE KIT booster cables, warning triangle, LED flashlight, multi-tool, work gloves, PVC tape, blanket, poncho, whistle, cable ties and bandages. Volkswagen 1.4T S with BLACK exterior and BLACK CLOTH interior features a 4 Cylinder Engine with 150 HP at 5000 RPM*.EXPERTS REPORTEdmunds.com's review says The backseat dwarfs that of just about every other compact sedan and hatchback (including the Golf), and the remarkable 15.7-cubic-foot trunk is on par with bigger midsize sedans.. Great Gas Mileage: 39 MPG Hwy.VISIT US TODAYWe've been honored with several customer service awards, including a Volkswagen Generation Best Dealer award. We offer autos made with the power of German engineering. Volkswagen has thought about every detail of every car, every step of the way.Horsepower calculations based on trim engine configuration. Fuel economy calculations based on original manufacturer data for trim engine configuration. Please confirm the accuracy of the included equipment by calling us prior to purchase. CARFAX 1-Owner. 1.8T Wolfsburg Ed trim. Heated Seats, CD Player, Onboard Communications System, Smart Device Integration, Turbo, Alloy Wheels, iPod/MP3 Input, Satellite Radio. READ MORE!KEY FEATURES INCLUDEHeated Driver Seat, Turbocharged, Satellite Radio, iPod/MP3 Input, CD Player, Onboard Communications System, Smart Device Integration, Heated Seats MP3 Player, Keyless Entry, Child Safety Locks, Steering Wheel Controls, Electronic Stability Control.EXPERTS CONCLUDEEdmunds.com explains The Passat's spacious interior caters to American tastes by allowing stretch-out room for adults both front and rear, as well as generous cargo capacity within its voluminous trunk.. Great Gas Mileage: 36 MPG Hwy.PURCHASE WITH CONFIDENCECARFAX 1-OwnerOUR OFFERINGSWe've been honored with several customer service awards, including a Volkswagen Generation Best Dealer award. We offer autos made with the power of German engineering. Volkswagen has thought about every detail of every car, every step of the way.Fuel economy calculations based on original manufacturer data for trim engine configuration. Please confirm the accuracy of the included equipment by calling us prior to purchase. Volkswagen Certified, GREAT MILES 31,605! Heated Seats, Onboard Communications System, Multi-CD Changer, Smart Device Integration, Keyless Start, iPod/MP3 Input, Alloy Wheels, ROADSIDE ASSISTANCE KIT, Turbo, Satellite Radio CLICK NOW!KEY FEATURES INCLUDEHeated Driver Seat, Back-Up Camera, Turbocharged, Satellite Radio, iPod/MP3 Input, Multi-CD Changer, Onboard Communications System, Keyless Start, Smart Device Integration, Heated Seats. MP3 Player, Keyless Entry, Child Safety Locks, Steering Wheel Controls, Electronic Stability Control.OPTION PACKAGESROADSIDE ASSISTANCE KIT booster cables, warning triangle, flashlight, multi-tool, gloves, PVC tape, blanket, poncho, whistle, cable ties and bandages. Volkswagen 1.8T Limited Edition with Platinum Gray Metallic exterior and Titan Black interior features a 4 Cylinder Engine with 170 HP at 4800 RPM*.EXPERTS ARE SAYINGThe Passat's spacious interior caters to American tastes by allowing stretch-out room for adults both front and rear, as well as generous cargo capacity within its voluminous trunk. -Edmunds.com. Great Gas Mileage: 36 MPG Hwy. Approx. Original Base Sticker Price: $24,000*.PURCHASE WITH CONFIDENCE112-Point Inspection and Reconditioning, 2 years/24,000 miles bumper-to-bumper limited warranty, 24-Hour Roadside Assistance, SiriusXM Satellite Radio 3-month trialWHO WE AREWe've been honored with several customer service awards, including a Volkswagen Generation Best Dealer award. We offer autos made with the power of German engineering. Volkswagen has thought about every detail of every car, every step of the way.Pricing analysis performed on 4/2/2019. Horsepower calculations based on trim engine configuration. Fuel economy calculations based on original manufacturer data for trim engine configuration. Please confirm the accuracy of the included equipment by calling us prior to purchase. Volkswagen Certified, GREAT MILES 42,863! PURE WHITE exterior and BEIGE V-TEX interior. Heated Seats, iPod/MP3 Input, Bluetooth, Multi-CD Changer, Satellite Radio, Alloy Wheels, SPLASH GUARDS (SET OF 4), Diesel, Turbo READ MORE!KEY FEATURES INCLUDEHeated Driver Seat, Turbocharged, Diesel, Satellite Radio, iPod/MP3 Input, Bluetooth, Multi-CD Changer, Heated Seats MP3 Player, Remote Trunk Release, Keyless Entry, Steering Wheel Controls, Child Safety Locks.OPTION PACKAGESSPLASH GUARDS (SET OF 4). Volkswagen TDI with PURE WHITE exterior and BEIGE V-TEX interior features a 4 Cylinder Engine with 140 HP at 4000 RPM*.EXPERTS RAVEnewCarTestDrive.com's review says SportWagen interior is equal to that in cars costing thousands more. Solid, soft-touch materials abound.. Great Gas Mileage: 42 MPG Hwy. Approx. Original Base Sticker Price: $26,600*.SHOP WITH CONFIDENCE100+ Point Dealer Inspection, Carfax Vehicle History Report, 24-Hour Roadside Assistance, 3-Month SiriusXM All-Access Trial Subscription, 2-Year or Unlimited-Mile Comprehensive Limited WarrantyVISIT US TODAYWe've been honored with several customer service awards, including a Volkswagen Generation Best Dealer award. We offer autos made with the power of German engineering. Volkswagen has thought about every detail of every car, every step of the way.Pricing analysis performed on 4/3/2019. Horsepower calculations based on trim engine configuration. Fuel economy calculations based on original manufacturer data for trim engine configuration. Please confirm the accuracy of the included equipment by calling us prior to purchase. Volkswagen Certified, CARFAX 1-Owner, LOW MILES - 34,806! REDUCED FROM $16,950! Sunroof, iPod/MP3 Input, Satellite Radio, Onboard Communications System, CD Player, Alloy Wheels, ROADSIDE ASSISTANCE KIT, Back-Up Camera CLICK NOW!KEY FEATURES INCLUDEBack-Up Camera, Turbocharged, Satellite Radio, iPod/MP3 Input, CD Player, Onboard Communications System MP3 Player, Sunroof, Keyless Entry, Steering Wheel Controls, Child Safety Locks.OPTION PACKAGESROADSIDE ASSISTANCE KIT booster cables, warning triangle, LED flashlight, multi-tool, work gloves, PVC tape, blanket, poncho, whistle, cable ties and bandages. Volkswagen TSI S w/Sunroof with PURE WHITE exterior and BEIGE CLOTH interior features a 4 Cylinder Engine with 170 HP at 4500 RPM*.VEHICLE REVIEWSEdmunds.com explains The 2016 Volkswagen Golf delivers competitive performance, comfort and refinement. For a small hatchback, it's one of our top recommendations..PRICED TO MOVEReduced from $16,950. Approx. Original Base Sticker Price: $22,600*.SHOP WITH CONFIDENCE112-Point Inspection and Reconditioning, 2 years/24,000 miles bumper-to-bumper limited warranty, 24-Hour Roadside Assistance, SiriusXM Satellite Radio 3-month trialVISIT US TODAYWe've been honored with several customer service awards, including a Volkswagen Generation Best Dealer award. We offer autos made with the power of German engineering. Volkswagen has thought about every detail of every car, every step of the way.Pricing analysis performed on 3/21/2019. Horsepower calculations based on trim engine configuration. Please confirm the accuracy of the included equipment by calling us prior to purchase. Volkswagen Certified, ONLY 33,621 Miles! Heated Seats, Moonroof, Bluetooth, iPod/MP3 Input, Brake Actuated Limited Slip Differential, Multi-CD Changer, Satellite Radio, Turbo Charged Engine, Aluminum Wheels, Diesel SEE MORE!KEY FEATURES INCLUDEHeated Driver Seat, Turbocharged, Diesel, Premium Sound System, Satellite Radio, iPod/MP3 Input, Bluetooth, Multi-CD Changer, Brake Actuated Limited Slip Differential, Heated Seats MP3 Player, Sunroof, Remote Trunk Release, Keyless Entry, Steering Wheel Controls. Volkswagen TDI w/Premium with PLATINUM GRAY METALLIC exterior and BLACK V-TEX interior features a 4 Cylinder Engine with 140 HP at 4000 RPM*.EXPERTS ARE SAYINGCarAndDriver.com's review says For its latest redesign, the Jetta TDI grew larger but kept its sweet turbo-diesel engine.. Great Gas Mileage: 42 MPG Hwy. Approx. Original Base Sticker Price: $25,500*.SHOP WITH CONFIDENCE100+ Point Dealer Inspection, Carfax Vehicle History Report, 24-Hour Roadside Assistance, 3-Month SiriusXM All-Access Trial Subscription, 2-Year or Unlimited-Mile Comprehensive Limited WarrantyVISIT US TODAYWe've been honored with several customer service awards, including a Volkswagen Generation Best Dealer award. We offer autos made with the power of German engineering. Volkswagen has thought about every detail of every car, every step of the way.Pricing analysis performed on 3/31/2019. Horsepower calculations based on trim engine configuration. Fuel economy calculations based on original manufacturer data for trim engine configuration. Please confirm the accuracy of the included equipment by calling us prior to purchase. Volkswagen Certified, LOW MILES - 60,111! WAS $15,995. CANDY WHITE exterior and TITAN BLACK interior. NAV, Sunroof, Heated Seats, iPod/MP3 Input, Bluetooth, CD Player, Turbo, Alloy Wheels, Satellite Radio, Diesel. CLICK ME!KEY FEATURES INCLUDENavigation, Heated Driver Seat, Turbocharged, Diesel, Satellite Radio, iPod/MP3 Input, Bluetooth, CD Player, Heated Seats. MP3 Player, Sunroof, Keyless Entry, Steering Wheel Controls, Child Safety Locks. Volkswagen TDI w/Sunroof & Nav with CANDY WHITE exterior and TITAN BLACK interior features a 4 Cylinder Engine with 140 HP at 4000 RPM*.VEHICLE REVIEWSEdmunds.com explains The 2014 Golf's front seats are a highlight, delivering firm support along with driver and passenger height adjustability: a rarity in this class. Even with tall adults situated up front, there's room in back for a couple full-size passengers. . Great Gas Mileage: 42 MPG Hwy.A GREAT TIME TO BUYReduced from $15,995. Approx. Original Base Sticker Price: $28,000*.BUY WITH CONFIDENCE100+ Point Dealer Inspection, Carfax Vehicle History Report, 24-Hour Roadside Assistance, 3-Month SiriusXM All-Access Trial Subscription, 2-Year or Unlimited-Mile Comprehensive Limited WarrantyWHY BUY FROM USWe've been honored with several customer service awards, including a Volkswagen Generation Best Dealer award. We offer autos made with the power of German engineering. Volkswagen has thought about every detail of every car, every step of the way.Pricing analysis performed on 4/2/2019. Horsepower calculations based on trim engine configuration. Fuel economy calculations based on original manufacturer data for trim engine configuration. Please confirm the accuracy of the included equipment by calling us prior to purchase. CARFAX 1-Owner, Volkswagen Certified, LOW MILES - 29,806! Heated Seats, Bluetooth, iPod/MP3 Input, Multi-CD Changer, Brake Actuated Limited Slip Differential, Keyless Start, Turbo Charged, Aluminum Wheels, (4) SPLASH GUARDS CLICK ME!KEY FEATURES INCLUDEHeated Driver Seat, Turbocharged, Diesel, Premium Sound System, Satellite Radio, iPod/MP3 Input, Bluetooth, Multi-CD Changer, Keyless Start, Brake Actuated Limited Slip Differential, Heated Seats. MP3 Player, Keyless Entry, Child Safety Locks, Heated Mirrors, Electronic Stability Control.OPTION PACKAGES(4) SPLASH GUARDS. Volkswagen TDI with BLACK exterior and BLACK V-TEX interior features a 4 Cylinder Engine with 140 HP at 4000 RPM*.EXPERTS REPORTThe wagon has kept its nicer interior and sophisticated rear suspension. -CarAndDriver.com. Great Gas Mileage: 39 MPG Hwy. Approx. Original Base Sticker Price: $26,900*.BUY WITH CONFIDENCECARFAX 1-Owner 100+ Point Dealer Inspection, Carfax Vehicle History Report, 24-Hour Roadside Assistance, 3-Month SiriusXM All-Access Trial Subscription, 2-Year or Unlimited-Mile Comprehensive Limited WarrantyVISIT US TODAYWe've been honored with several customer service awards, including a Volkswagen Generation Best Dealer award. We offer autos made with the power of German engineering. Volkswagen has thought about every detail of every car, every step of the way.Pricing analysis performed on 4/17/2019. Horsepower calculations based on trim engine configuration. Fuel economy calculations based on original manufacturer data for trim engine configuration. Please confirm the accuracy of the included equipment by calling us prior to purchase. Volkswagen Certified, LOW MILES - 29,106! Heated Seats, Moonroof, Bluetooth, iPod/MP3 Input, Brake Actuated Limited Slip Differential, Multi-CD Changer, Turbo Charged Engine, Aluminum Wheels, Diesel, Satellite Radio. CLICK ME!OWN THIS JETTA WITH CONFIDENCE100+ Point Dealer Inspection, Carfax Vehicle History Report, 24-Hour Roadside Assistance, 3-Month SiriusXM All-Access Trial Subscription, 2-Year or Unlimited-Mile Comprehensive Limited Warranty Approx. Original Base Sticker Price: $24,200*.KEY FEATURES ON THIS VOLKSWAGEN JETTA INCLUDEHeated Driver Seat, Turbocharged, Diesel, Premium Sound System, Satellite Radio, iPod/MP3 Input, Bluetooth, Multi-CD Changer, Brake Actuated Limited Slip Differential, Heated Seats MP3 Player, Sunroof, Keyless Entry, Steering Wheel Controls, Child Safety Locks. Volkswagen TDI w/Premium with TORNADO RED exterior and BLACK V-TEX interior features a 4 Cylinder Engine with 140 HP at 4000 RPM*.VOLKSWAGEN JETTA: BEST IN CLASSClass leading in cargo volume at over 15 cubic feet. Easily fits 3 carry-ons with room to spare. Beats out the Chevrolet Cruze and Hyundai Elantra. Great Gas Mileage: 42 MPG Hwy.BUY FROM AN AWARD WINNING DEALERWe've been honored with several customer service awards, including a Volkswagen Generation Best Dealer award. We offer autos made with the power of German engineering. Volkswagen has thought about every detail of every car, every step of the way.Pricing analysis performed on 4/2/2019. Horsepower calculations based on trim engine configuration. Fuel economy calculations based on original manufacturer data for trim engine configuration. Please confirm the accuracy of the included equipment by calling us prior to purchase. Volkswagen Certified, ONLY 23,224 Miles! Nav System, Heated Seats, Moonroof, Bluetooth, iPod/MP3 Input, Brake Actuated Limited Slip Differential, Keyless Start, Satellite Radio, Aluminum Wheels, (4) SPLASH GUARDS, Diesel SEE MORE!KEY FEATURES INCLUDENavigation, Heated Driver Seat, Turbocharged, Diesel, Premium Sound System, Satellite Radio, iPod/MP3 Input, Bluetooth, Keyless Start, Brake Actuated Limited Slip Differential, Heated Seats. MP3 Player, Sunroof, Keyless Entry, Remote Trunk Release, Steering Wheel Controls.OPTION PACKAGES(4) SPLASH GUARDS. Volkswagen TDI w/Premium/Nav with CANDY WHITE exterior and BEIGE V-TEX interior features a 4 Cylinder Engine with 140 HP at 4000 RPM*.EXPERTS REPORTCarAndDriver.com explains For its latest redesign, the Jetta TDI grew larger but kept its sweet turbo-diesel engine.. Great Gas Mileage: 42 MPG Hwy. Approx. Original Base Sticker Price: $25,900*.PURCHASE WITH CONFIDENCE100+ Point Dealer Inspection, Carfax Vehicle History Report, 24-Hour Roadside Assistance, 3-Month SiriusXM All-Access Trial Subscription, 2-Year or Unlimited-Mile Comprehensive Limited WarrantyWHO WE AREWe've been honored with several customer service awards, including a Volkswagen Generation Best Dealer award. We offer autos made with the power of German engineering. Volkswagen has thought about every detail of every car, every step of the way.Pricing analysis performed on 4/3/2019. Horsepower calculations based on trim engine configuration. Fuel economy calculations based on original manufacturer data for trim engine configuration. Please confirm the accuracy of the included equipment by calling us prior to purchase. CARFAX 1-Owner, Volkswagen Certified. Heated Seats, CD Player, Bluetooth, Smart Device Integration, Keyless Start, iPod/MP3 Input, Aluminum Wheels, ROADSIDE ASSISTANCE KIT, Turbo Charged Engine, Satellite Radio, Back-Up Camera CLICK ME!KEY FEATURES INCLUDEHeated Driver Seat, Back-Up Camera, Turbocharged, Satellite Radio, iPod/MP3 Input, Bluetooth, CD Player, Keyless Start, Smart Device Integration, Heated Seats. MP3 Player, Keyless Entry, Steering Wheel Controls, Child Safety Locks, Electronic Stability Control.OPTION PACKAGESROADSIDE ASSISTANCE KIT booster cables, warning triangle, LED flashlight, multi-tool, work gloves, PVC tape, blanket, poncho, whistle, cable ties and bandages. Volkswagen 1.4T SE with PLATINUM GRAY METALLIC exterior and BLACK CLOTH interior features a 4 Cylinder Engine with 150 HP at 5000 RPM*.EXPERTS ARE SAYINGEdmunds.com explains The backseat dwarfs that of just about every other compact sedan and hatchback (including the Golf), and the remarkable 15.7-cubic-foot trunk is on par with bigger midsize sedans.. Great Gas Mileage: 39 MPG Hwy. Approx. Original Base Sticker Price: $20,100*.PURCHASE WITH CONFIDENCECARFAX 1-Owner 112-Point Inspection and Reconditioning, 2 years/24,000 miles bumper-to-bumper limited warranty, 24-Hour Roadside Assistance, SiriusXM Satellite Radio 3-month trialBUY FROM AN AWARD WINNING DEALERWe've been honored with several customer service awards, including a Volkswagen Generation Best Dealer award. We offer autos made with the power of German engineering. Volkswagen has thought about every detail of every car, every step of the way.Pricing analysis performed on 4/6/2019. Horsepower calculations based on trim engine configuration. Fuel economy calculations based on original manufacturer data for trim engine configuration. Please confirm the accuracy of the included equipment by calling us prior to purchase. Volkswagen Certified, CARFAX 1-Owner, GREAT MILES 38,982! Heated Seats, Bluetooth, iPod/MP3 Input, Brake Actuated Limited Slip Differential, Multi-CD Changer, Turbo Charged, SEATTLE ALLOY WHEELS, Rear Air, Satellite Radio CLICK ME!THIS VOLKSWAGEN GOLF COMES EQUIPPED WITH PREMIUM FEATURESSEATTLE ALLOY WHEELS 17 Seattle alloy wheels, all-season tiresVOLKSWAGEN GOLF: UNMATCHED QUALITYCARFAX 1-Owner. Qualifies for CARFAX Buyback Guarantee. 100+ Point Dealer Inspection, Carfax Vehicle History Report, 24-Hour Roadside Assistance, 3-Month SiriusXM All-Access Trial Subscription, 2-Year or Unlimited-Mile Comprehensive Limited WarrantyKEY FEATURES ON THIS GOLF INCLUDERear Air, Heated Driver Seat, Turbocharged, Diesel, Satellite Radio, iPod/MP3 Input, Bluetooth, Multi-CD Changer, Brake Actuated Limited Slip Differential, Heated Seats MP3 Player, Keyless Entry, Child Safety Locks, Electronic Stability Control, Heated Mirrors. Volkswagen TDI with REFLEX SILVER METALLIC exterior and TITAN BLACK interior features a 4 Cylinder Engine with 140 HP at 4000 RPM*.VOLKSWAGEN GOLF IS BEST IN CLASSEven the entry-level Golf continues to offer hatchback practicality, refined driving dynamics, and luxury-car levels of interior quality. It's the master of a budget-conscious segment whose other entrants ask buyers to compromise on refinement, fun, or both. -- Car and Driver. Great Gas Mileage: 42 MPG Hwy.WHO WE AREWe've been honored with several customer service awards, including a Volkswagen Generation Best Dealer award. We offer autos made with the power of German engineering. Volkswagen has thought about every detail of every car, every step of the way.Pricing analysis performed on 4/10/2019. Horsepower calculations based on trim engine configuration. Fuel economy calculations based on original manufacturer data for trim engine configuration. Please confirm the accuracy of the included equipment by calling us prior to purchase. Moonroof, Heated Seats, Nav System, Onboard Communications System, CD Player, Smart Device Integration, Keyless Start, iPod/MP3 Input, Aluminum Wheels, LIGHTING PACKAGE, Turbo Charged Engine, Satellite Radio, Back-Up Camera AND MORE!KEY FEATURES INCLUDENavigation, Heated Driver Seat, Back-Up Camera, Turbocharged, Satellite Radio, iPod/MP3 Input, CD Player, Onboard Communications System, Keyless Start, Smart Device Integration, Heated Seats MP3 Player, Sunroof, Keyless Entry, Steering Wheel Controls, Child Safety Locks.OPTION PACKAGESLIGHTING PACKAGE upgraded multifunction display, Bi-xenon Headlights w/AFS, Interior Ambient Lighting, LED Daytime Running Lights. Volkswagen 1.8T SEL with PLATINUM GRAY METALLIC exterior and BLACK LEATHERETTE interior features a 4 Cylinder Engine with 170 HP at 4800 RPM*.EXPERTS RAVEEdmunds.com's review says The backseat dwarfs that of just about every other compact sedan and hatchback (including the Golf), and the remarkable 15.7-cubic-foot trunk is on par with bigger midsize sedans.. Great Gas Mileage: 36 MPG Hwy.MORE ABOUT USWe've been honored with several customer service awards, including a Volkswagen Generation Best Dealer award. We offer autos made with the power of German engineering. Volkswagen has thought about every detail of every car, every step of the way.Horsepower calculations based on trim engine configuration. Fuel economy calculations based on original manufacturer data for trim engine configuration. Please confirm the accuracy of the included equipment by calling us prior to purchase. Volkswagen Certified, ONLY 46,648 Miles! PRICE DROP FROM $15,555. Heated Seats, Onboard Communications System, CD Player, Smart Device Integration, Keyless Start, Turbo Charged Engine, Aluminum Wheels, Diesel, iPod/MP3 Input AND MORE!KEY FEATURES INCLUDEHeated Driver Seat, Turbocharged, Diesel, Satellite Radio, iPod/MP3 Input, CD Player, Onboard Communications System, Keyless Start, Smart Device Integration, Heated Seats. MP3 Player, Keyless Entry, Steering Wheel Controls, Electronic Stability Control, Heated Mirrors. Volkswagen 2.0L TDI with TORNADO RED exterior and TITAN BLACK V-TEX interior features a 4 Cylinder Engine with 140 HP at 4000 RPM*.EXPERTS ARE SAYINGEdmunds.com's review says Within the classic yet tastefully updated shape, there is ample passenger space, sensible ergonomics, a decently sized cargo hold and a suspension that provides an agreeable balance between sporty handling and a comfortable ride.. Great Gas Mileage: 39 MPG Hwy.AFFORDABLEWas $15,555. Approx. Original Base Sticker Price: $25,700*.PURCHASE WITH CONFIDENCE100+ Point Dealer Inspection, Carfax Vehicle History Report, 24-Hour Roadside Assistance, 3-Month SiriusXM All-Access Trial Subscription, 2-Year or Unlimited-Mile Comprehensive Limited WarrantyBUY FROM AN AWARD WINNING DEALERWe've been honored with several customer service awards, including a Volkswagen Generation Best Dealer award. We offer autos made with the power of German engineering. Volkswagen has thought about every detail of every car, every step of the way.Pricing analysis performed on 4/17/2019. Horsepower calculations based on trim engine configuration. Fuel economy calculations based on original manufacturer data for trim engine configuration. Please confirm the accuracy of the included equipment by calling us prior to purchase. 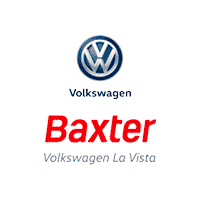 Volkswagen Certified, CARFAX 1-Owner, GREAT MILES 45,178! Navigation, Heated Seats, Sunroof, iPod/MP3 Input, Satellite Radio, Keyless Start, Onboard Communications System, Premium Sound System, Alloy Wheels, Turbo Charged CLICK NOW!KEY FEATURES INCLUDENavigation, Heated Driver Seat, Back-Up Camera, Turbocharged, Diesel, Premium Sound System, Satellite Radio, iPod/MP3 Input, Onboard Communications System, Keyless Start, Dual Zone A/C, Smart Device Integration, Heated Seats. MP3 Player, Sunroof, Keyless Entry, Steering Wheel Controls, Child Safety Locks.OPTION PACKAGESROADSIDE ASSISTANCE KIT booster cables, warning triangle, LED flashlight, multi-tool, work gloves, PVC tape, blanket, poncho, whistle, cable ties and bandages. Volkswagen 2.0L TDI SEL with BLACK exterior and BLACK LEATHERETTE interior features a 4 Cylinder Engine with 150 HP at 3500 RPM*.EXPERTS RAVEThe backseat dwarfs just about every other one in the compact hatchback or sedan class. The Jetta's 15.7-cubic-foot trunk capacity is one of the best in the segment, too. -Edmunds.com. Great Gas Mileage: 45 MPG Hwy. Approx. Original Base Sticker Price: $27,500*.PURCHASE WITH CONFIDENCE100+ Point Dealer Inspection, Carfax Vehicle History Report, 24-Hour Roadside Assistance, 3-Month SiriusXM All-Access Trial Subscription, 2-Year or Unlimited-Mile Comprehensive Limited WarrantyVISIT US TODAYWe've been honored with several customer service awards, including a Volkswagen Generation Best Dealer award. We offer autos made with the power of German engineering. Volkswagen has thought about every detail of every car, every step of the way.Pricing analysis performed on 4/2/2019. Horsepower calculations based on trim engine configuration. Fuel economy calculations based on original manufacturer data for trim engine configuration. Please confirm the accuracy of the included equipment by calling us prior to purchase. Volkswagen Certified, ONLY 57,567 Miles! 2.0L TDI trim. Heated Seats, Bluetooth, CD Player, Keyless Start, iPod/MP3 Input, Aluminum Wheels, CHROME EXHAUST TIPS, Diesel, Turbo Charged Engine. AND MORE!KEY FEATURES INCLUDEHeated Driver Seat, Turbocharged, Diesel, iPod/MP3 Input, Bluetooth, CD Player, Keyless Start, Heated Seats Rear Spoiler, MP3 Player, Keyless Entry, Remote Trunk Release, Electronic Stability Control.OPTION PACKAGESCHROME EXHAUST TIPS. Volkswagen 2.0L TDI with BLACK UNI W/BEIGE TOP exterior and BEIGE V-TEX interior features a 4 Cylinder Engine with 140 HP at 4000 RPM*.EXPERTS ARE SAYINGThe 2013 Volkswagen Beetle manages to pay proper homage to an icon of the past while still being thoroughly modern in important areas such as powertrain, features and performance. -Edmunds.com. Great Gas Mileage: 37 MPG Hwy. Approx. Original Base Sticker Price: $29,000*.PURCHASE WITH CONFIDENCE100+ Point Dealer Inspection, Carfax Vehicle History Report, 24-Hour Roadside Assistance, 3-Month SiriusXM All-Access Trial Subscription, 2-Year or Unlimited-Mile Comprehensive Limited WarrantyWHO WE AREWe've been honored with several customer service awards, including a Volkswagen Generation Best Dealer award. We offer autos made with the power of German engineering. Volkswagen has thought about every detail of every car, every step of the way.Pricing analysis performed on 4/4/2019. Horsepower calculations based on trim engine configuration. Fuel economy calculations based on original manufacturer data for trim engine configuration. Please confirm the accuracy of the included equipment by calling us prior to purchase. Volkswagen Certified, GREAT MILES 17,394! Sunroof, Heated Seats, Keyless Start, Onboard Communications System, Blind Spot Monitor, Cross-Traffic Alert, Smart Device Integration, CD Player, Turbo, Alloy Wheels, iPod/MP3 Input SEE MORE!KEY FEATURES INCLUDEHeated Driver Seat, Back-Up Camera, Turbocharged, Satellite Radio, iPod/MP3 Input, CD Player, Onboard Communications System, Keyless Start, Blind Spot Monitor, Smart Device Integration, Cross-Traffic Alert, Heated Seats. MP3 Player, Sunroof, Keyless Entry, Child Safety Locks, Steering Wheel Controls.OPTION PACKAGESFRAMELESS AUTO-DIMMING REARVIEW MIRROR HomeLink Integrated Garage Door Opener, Compass. Volkswagen 1.4T SE with BLACK exterior and BLACK LEATHERETTE interior features a 4 Cylinder Engine with 150 HP at 5000 RPM*.EXPERTS CONCLUDEIf you want a sporty, European-derived compact sedan at a non-European price, the 2017 VW Jetta delivers the contemporary design and handling dynamics for which German cars are known. -KBB.com. Great Gas Mileage: 38 MPG Hwy. Approx. Original Base Sticker Price: $22,000*.BUY WITH CONFIDENCE2-Year or 24,000-Mile (whichever occurs first) Comprehensive Limited Warranty, 100+ Point Dealer Inspection, Carfax Vehicle History Report, 24-Hour Roadside Assistance, 3-Month SiriusXM All-Access Trial SubscriptionOUR OFFERINGSWe've been honored with several customer service awards, including a Volkswagen Generation Best Dealer award. We offer autos made with the power of German engineering. Volkswagen has thought about every detail of every car, every step of the way.Pricing analysis performed on 3/28/2019. Horsepower calculations based on trim engine configuration. Fuel economy calculations based on original manufacturer data for trim engine configuration. Please confirm the accuracy of the included equipment by calling us prior to purchase.